Got my new iPhone 3GS on Saturday after queuing for more than 5 hours at Singtel Comcenter. This is my first iPhone, in fact, the first time in my life to own a smartphone. Within minutes of owning this phone, I was already making calls and sending MMS of a picture of the crowd outside Comcenter. How to Switch iPhone to Silent Mode? Switch your mobile phone to Silent Mode is a vitally important function and I expect Apple to make it really easy for me to switch the iPhone to Silent Mode. To a iPhone noob like me, everything else was easy except for the fact that I could not make the iPhone to just vibrate and not ring. Even after nearly an hour trying out all the options in the Settings, I was still clueless! Is it because I am too used to Nokia and Sony Ericsson? Yes. It was that simple. I recently bought an iPhone and realized that you can’t turn the ringer off without turning off the alarm as well! This is quite troublesome because it means that you can’t stop your phone from ringing at 3am in the morning if you want the alarm function to work. Is there an application that I can download? Congrats on your new iPhone 3GS! 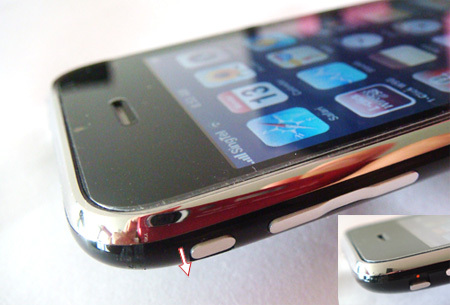 I have bookmarked a very good article for the iPhone 3G which has many tips and tricks that still apply for the 3GS. Hope it helps you to get acquainted with your 1st smartphone!